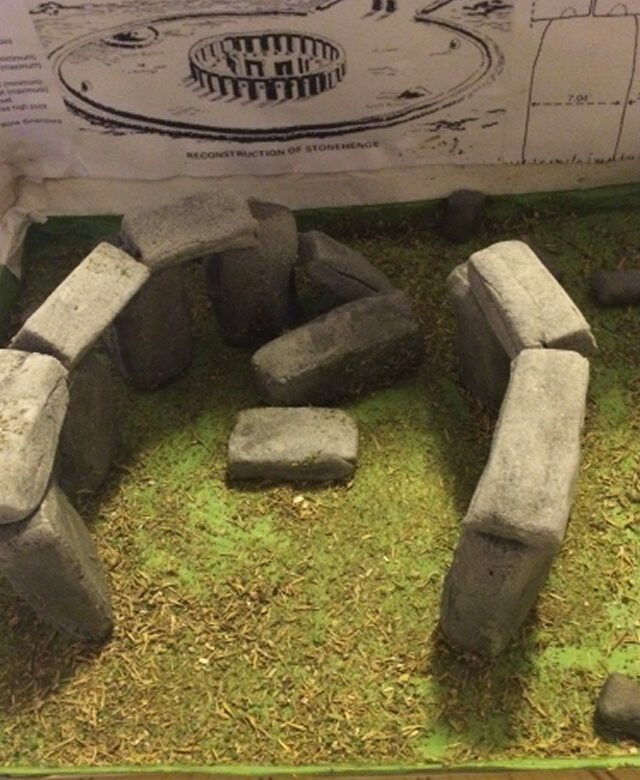 Ella’s school gave her a list of projects to choose from for homework throughout this term and for the last couple of weeks, she’s been working with her daddy to create a model of Stonehenge. Her finished model is brilliant and we’re so proud of her. She was really excited when it was finally finished last night and she kept hugging her daddy and thanking him for helping her make it so awesome! They made the stones using salt dough and the grass is mixed herbs! Oh wow! That is fantastic! You have every reason to be proud!